Set in a Glasgow tenement in the 1960s but with flash-backs to the Depression, the Blitz and shortly after World War Two, the play was premiered by the Glasgow Citizens' Company – being revived, most recently, at the Finborough Theatre, London, in March 2013. The text of this production is included in the Oberon Modern Plays series. This one-man piece draws on Miller's vibrant writings to examine the tug between his fundamental religious beliefs and the implications of his fossil discoveries, and the circumstances leading to his tragic suicide. With a coda spoken by his 'ghost'. To escape an obsession with one of his students an academic immerses himself in the work of Herman Melville, only to blur his distinction between fantasy and reality and find himself pursued by two seamen, in fact the Furies, in many guises. ... a play with resonances, written with a poet's feeling for words, but without being “poetic”; the action moves freely but with moments of almost macabre tension, through several planes of “reality” ... At every turn the Furies are there, now blackly comic, now menacing. — Cordelia Oliver, The Guardian. Set in a middle-class Glasgow flat in the early 1970s the action involves a father and son each of whom perceives the other as failing to live up to expectation, and the destructive effect of this, not least on the mother with her divided loyalties. The focus shifts between a young Scottish mercenary in an African jail, and those most concerned about the outcome: his uncomprehending parents and girlfriend, a local reporter, an eye-for-the-main-chance lawyer, and a bland consular official. Drawing on myth and anthropological sources, the play depicts a couple who engage a gardener who claims to control the weather, and symbolically seduce and crown him – only to kill him when they realise they have been deluded. Through the power struggle between James I and his cousin the Earl of Bothwell, divine right and individual freedom, the play explores the themes of superstition and witchcraft, and the way the innocent can be mercilessly caught in the middle. 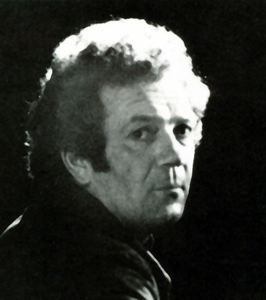 Other plays include Thistlewood (1975), Hecuba (1979, with music by John Sampson), and Clay Bull (1998). An adaptation of George Mackay Brown's Greenvoe, with music by Alasdair Nicolson, premiered at Orkney's St Magnus Festival in 1998. Four Tales of Enchantment (Two Sisters; A Rose; A Flood; and Snow), also set by Alasdair Nicolson, was premiered by the London Symphony Orchestra and chorus at St Luke's, Covent Garden in 2005.